Looking for spares? Read our guarantees Researching steam showers? Di Vapor® (pronounced 'Dee Vah-pour') specialises in luxury bathroom steam showers, steam shower cabins, home steam sauna rooms, infrared saunas and whirlpool baths. Celebrating our 9th year of trading, Di Vapor has gradually established itself as one of the leading steam shower suppliers in the UK. A combination of unrivalled product knowledge, friendly customer service and our exclusive product range makes Di Vapor the first choice for customers across the UK. Di Vapor UK provides an exclusive range of high quality, luxury steam shower units designed to be installed in any type of bathroom. A select range of steam shower rooms, far infrared saunas and whirlpool baths in a variety of shapes and sizes almost certainly guarantees that you'll find something to meet your tastes and requirements. Recognition from trusted brands in the home improvement sector such as Grand Designs Live, Homebuilding & Renovating magazine, The Independent newspaper and Living Etc magazine amongst a host of other brands demonstrates our commitment to providing designer products at competitive prices. Industry recognition such as this is proudly backed by feedback from our customers. Please take the time to read our customer feedback here. Before you start shopping on Di Vapor, we highly recommend that you read through our exclusive buyers guides. Our technical team have worked closely with our manufacturers and customer services team to develop the steam shower buyer's guide, infrared sauna buyer's guide and whirlpool bath buyer's guide. With an endless selection of suppliers across the internet, it can be very difficult to sift through suppliers that don't quite "cut the mustard." So now that you've found Di Vapor, please take the time to look at our full range of steam showers and shower room enclosures, read our detailed guides, request a free product brochure or just drop us a message. If you've got a few moments find us on Twitter and Facebook or visit our sponsor blog - The Healthy Hideout. 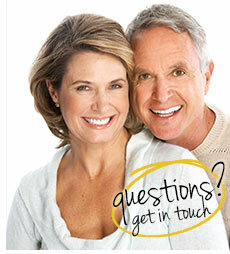 If you'd prefer to speak to someone, why not call our friendly staff on 08454 650 800. We are experts in this field so we don't think there's a question that we won't be able to help you with. So why should you buy from Di Vapor? Free Delivery - Di Vapor offers our standard delivery service free of charge with all orders of steam shower enclosures, whirlpool baths, infrared saunas and shower enclosures. If you require your unit quickly, we do offer a next day AM service for an additional cost - Please call us on 08454 650 800 for more details. Guarantee - All products sold within the Di Vapor range come complete with a 2 year parts guarantee as standard. We also work to keep a back catalogue of all parts available to dispatch immediately should you need them. Value for Money - Di Vapor provides high quality steam shower rooms, whirlpool baths and far infrared saunas at competitive internet prices. We know that we're not the cheapest supplier in the marketplace, but we feel that our prices are great value for money in comparison to the product quality and customer service you can expect to receive. Technical Support and Servicing - Di Vapor provides a technical support team that can answer any queries regarding installation, general product questions and unit maintenance. 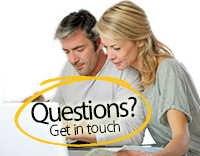 Our live online chat service is available through the website, as is our email messaging service. If you'd like to chat with someone simply call 08454 650 800 and we will do our best to help. High Quality - The build quality of steam showers will be determined by the materials used to construct the steam cabin including the acrylic, metals and glass used throughout the steam cabin. Di Vapor sets the standard by having quality at the forefront of our priority list. If a unit doesn't meet our quality standards, it doesn't carry a Di Vapor badge. Materials Matter - The acrylic used on all of our cabins is high quality, fade-proof, easy clean, scratch resistant and reinforced with fibreglass as standard. Furthermore, the main fixtures on our steam cabins and shower pods are made from aluminium fixings and chrome coated brass instead of the cheap coated plastic found on many inferior steam rooms and shower enclosures. That's just one of the examples - please read our steam shower buyer's guide for more details. Easy Installation - Many customers ask us whether a Di Vapor steam shower installation is difficult. A Di Vapor steam bath arrives onsite in a "flat packed" kit form designed to easily go through doorways and upstairs with ease. Any plumber or bathroom engineer with shower installation experience will be able to handle the install process of a Di Vapor steam room, far infrared sauna or whirlpool bath without any problems. Our detailed steam cabinet installation and user manuals are designed to be easy to follow, but if you do experience any problems just get in touch. Safety - All of Di Vapor’s steam shower cabins and steam baths feature an RCD (Residual Current Device) to ensure user safety. Our steam cabins will cease operation if the RCD detects anything out of the ordinary - for example a short circuit, no water supply or other functional problem. Having an RCD is a regulation standard for products such as this to ensure the safety of the user. Product Exclusivity - Steam showers are our speciality - You won't find Di Vapor’s steam shower rooms, steam saunas or whirlpool baths for sale anywhere else across the UK. The entire Di Vapor range has been handpicked by our team of talented bathroom designers, aiming to meet both practical and aesthetic needs. Certified - You can rest assured that all Di Vapor products have been certified under the ISO 9001 system of quality assurance, ISO 14001 International quality assurance whilst carrying all necessary CE certificates and ETL SEMKO certificates for electrical safety - added peace of mind as standard with every product. It's difficult making a final buying decision for such a significant purchase simply from the text you read on a website. We encourage you to read our buyers guides, watch our videos, read our customer feedback and view our entire product range in detail. The objective of www.divapor.com is help build confidence with our customers whilst helping you understand our products. Di Vapor pays close attention to quality and aesthetic appeal whilst keeping pace with the natural progression of technology in computerised steam rooms, steam cabin pods, hydro-massage whirlpool bathtubs, infrared home saunas and conventional sauna combination units. Buying from Di Vapor is more than just choosing a cabin that suits your sizes and needs - it's about choosing a product that is going to make a difference to your lifestyle. For more information, please take the time to read about the benefits of steam. To make sure that you don't miss out on any of our latest offers, be sure to sign up to our newsletter. Drop us a message through Twitter or Facebook - We love hearing from our customers. Di Vapor® - Buying with confidence.